3-Month Golf Trial Memberships available! Call our Membership Director, Kelly Cocanougher, at 513-831-3384 for more information. Close to home, miles away from life. 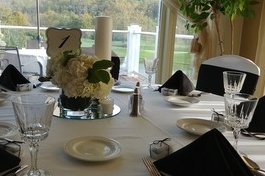 Terrace Park Country Club is nestled along the banks of the East Fork and Little Miami Rivers in the eastern suburbs of Cincinnati, Ohio. The tranquil, park-like setting provides you a place to unwind and relax while having fun with friends and family enjoying the many fine amenities. Our 18-Hole golf course and extensive outdoor and indoor practice facilities, including a state-of-the-art golf simulator, provide year-round opportunities to play and practice your game. 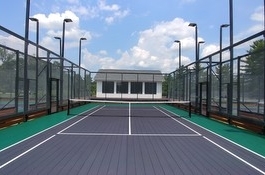 Members also enjoy platform tennis, swimming pool, fitness center, and many year-round family activities. Multiple dining and bar spaces play host to members and their guests for a variety of events, both Club-wide and private. 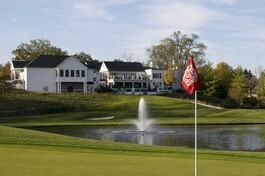 Come be a part of a true family experience at one of Cincinnati’s premier golf and country clubs since 1910!